If you know about mindmap and wish to mindmap every where ( as long as you are able to access to internet ) , there are 2 web based mindmap service appear recently. I still prefer freemind …. 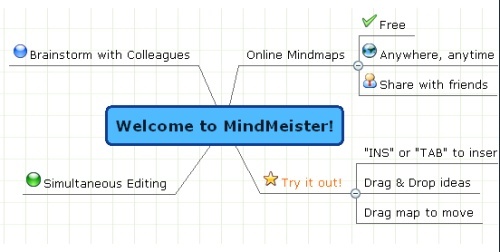 p/s if you want to give it a try on MindMeister, leave your contact please, i have 20 invitation code to send out. Next story Which LCD shall i choose ?